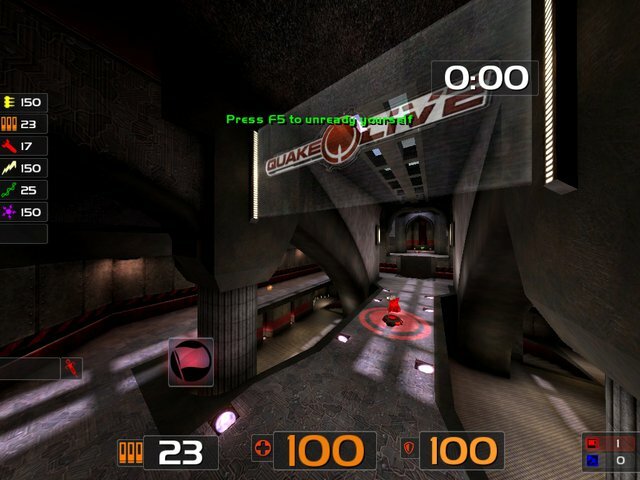 Description: This HUD is based on EmSixTeens one, as usually. I have changed transparency, location, size of items to look more organized, clearly visible and tried to make it less distractive while providing as much info as possible. 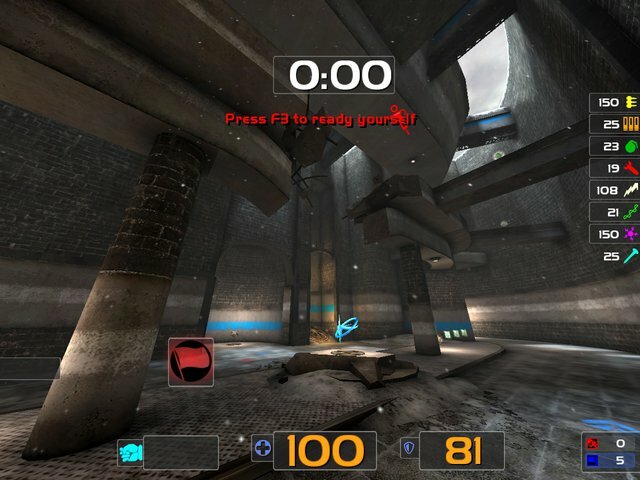 Power-Up timer moved near to PyroSKs crosshair and scaled to have right aspect ratio (no vertical stretching for 4:3, 5:4, i dont know will it be nice on 16:9 screens). At right bottom color you can see CTF flag statuses, total scores. In TDM it shows only team scores, while in CA this also shows how many players left in both teams. 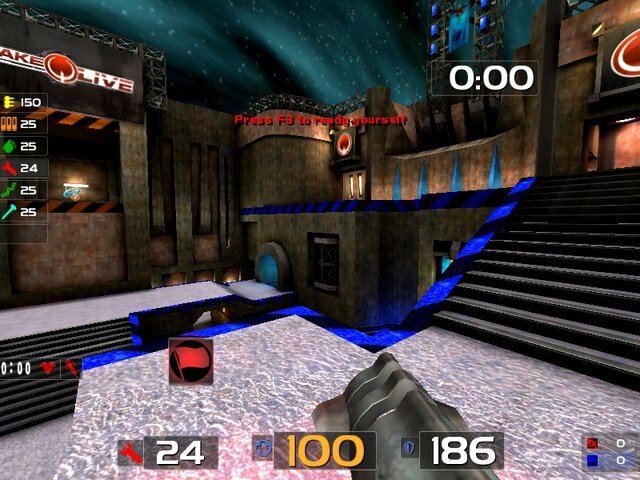 Your team score is always located at left side while enemys score located at right side. 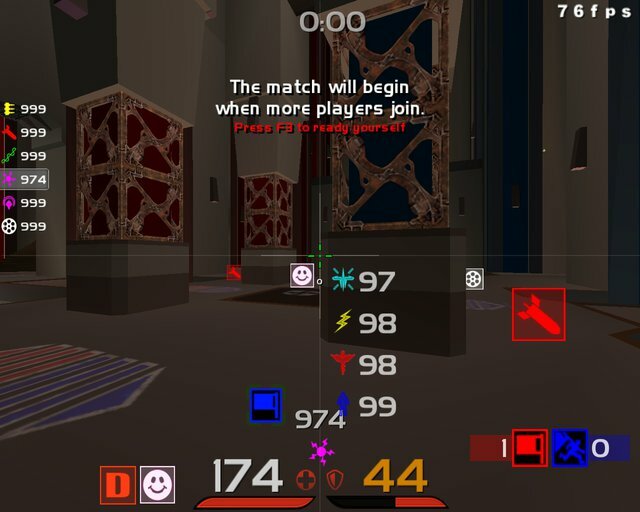 In Duel and FFA there is only two lines showing your and leaders score. This HUD includes new low health red flashing on the screen that reminds you to restock (thanks qop! ).